Specially designed for the wider neck of classical guitars. When placed in the yoke, the housing slides down, rotating the arms to secure it. When you are ready to play, lift up and the AGS automatically releases. Grab the comfort grip and raise or lower the stand to the desired height. A locking pin prevents slipping and provides solid and stable support for even your heaviest guitars. 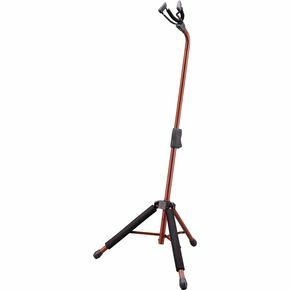 This Hercules stand features specially formulated foam rubber on all the contact points between the guitar stand and your instrument for added protection. 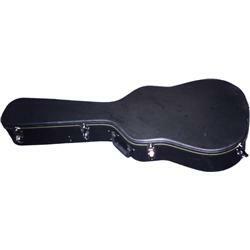 Quality hardshell case at a price that won't break the bank. These deluxe cases are built road-tough with 5-ply cross-laminate wood construction, plush interior lining, heavy-duty hardware, interior accessory compartment, and locking fasteners. 44" x 13" upper bout/16-1/2" lower bout. Protect your axe. Order today. Go here for lyrics, tabs, free Services, pay for services and much more!! !